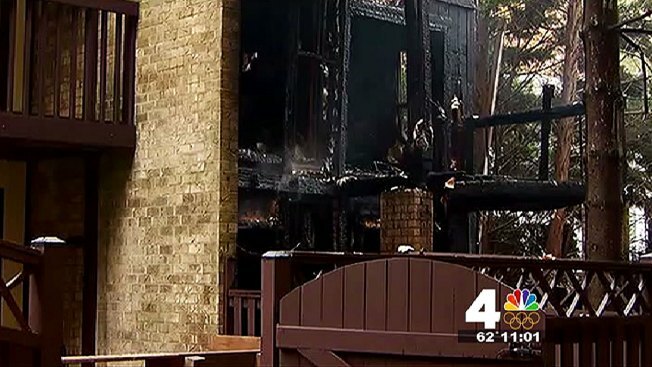 The body of a man who was unaccounted for after a two-alarm fire in the Alexandria section of Fairfax County has been identified as 68-year-old Kirkland Stewart, Fairfax County fire officials say. More than 50 firefighters were called to Stewart's home in 6900 block of Deer Run Drive just before 4 a.m. last Thursday. A partial collapse within the home kept firefighters from searching for the resident. His body was recovered later in the morning. Both neighbors and fire officials say Stewart had difficulty breathing, and used oxygen tanks. It's not known whether the oxygen tanks played a role in the blaze. "His wife had passed earlier this year, so he was on his own at this point," one neighbor said.